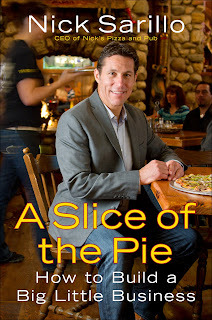 A SLICE OF THE PIE: How to Build a Big Little Business by Nick Sarillo. While countless books have been written about culture, with Apple, Southwest, and Zappos as the oft-referenced poster children, there remains a gap in the literature – particularly for small and everyday businesses, where replicating Zappos’ playbook feels anything but realistic. In A SLICE OF THE PIE, Sarillo fills that gap, offering insight into how to create a culture that will support any business through good times and bad – even in an industry where turnover is high, expectations are low, and a college degree is not required. Sarillo's website: www.nicksarillo.com. A TV news story about his restaurants: here. If you're interested in reading and reviewing this book, please send your U.S. terrestrial mailing address here. 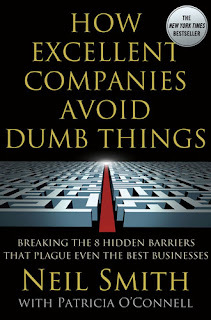 How Excellent Companies Avoid Dumb Things: Breaking the 8 Hidden Barriers that Plague Even the Best Businesses. Neil Smith with Patricia O'Connell. Palgrave Macmillan. 240 pages.